Busy workdays happen. Sometimes it’s necessary to hold a meeting or presentation that coincides with a meal, usually lunch. Working lunches may consist of you and your colleagues bringing your own lunches and eating while meeting, or having food delivered in. Though this type of business lunch is not fine dining, your good manners are called for. In most gatherings where people are eating, we tend to make food the primary subject. But when business is being conducted during mealtime, business should be the primary subject. If you are exceptionally hungry when you arrive at your meeting or presentation, it can be difficult to shift your focus from food. Do your best to not let this get in the way of participating and making an appropriate contribution to the business at hand. This is a time to model professional behavior. Be a shining example to new employees and others. 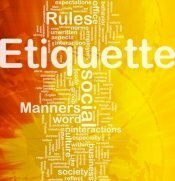 Managing your personal space is always a priority amidst your awareness that you are in common space. A working lunch, like any meal, is meant to nourish you and be enjoyed. But at the same time, it is intended to make continuing doing business more convenient. Unless an office assistant or appointed person is taking care of food delivery and set-up, this may create an “all hands on deck” situation. 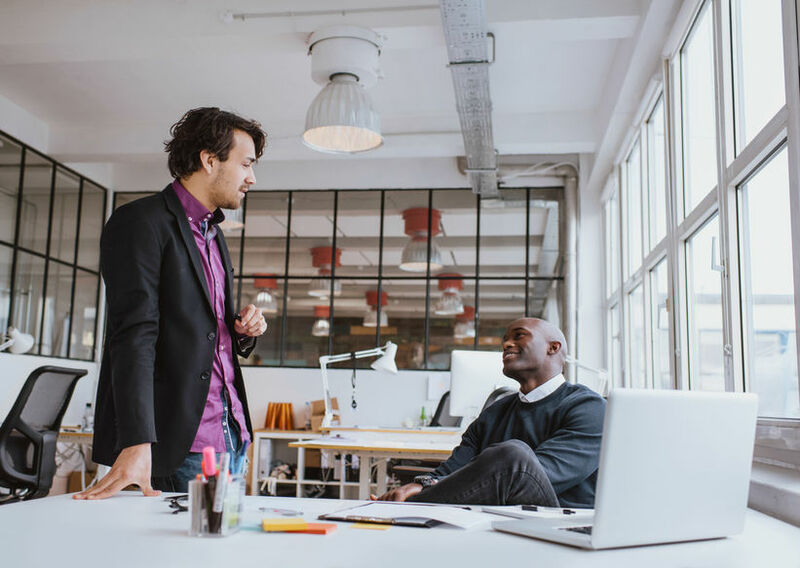 If you are the person responsible for scheduling the meeting and meal ordering, make sure the meeting room can accommodate the type of meal you intend to serve. Is there space to set up a buffet? Is the conference table conducive to having food and drinks on it? Do offer to help with set-up and clearing space if needed. An offer is always appreciated even if staff claim it as their responsibility. Arrive on time so colleagues and guests aren’t waiting for you. Follow your boss’ lead on proceeding with the meal. Do not begin eating unless others have food. Use utensils whenever possible. Your fingers may be needed for writing or typing notes. If food or a utensil falls on the floor, don’t pick it up then, but after the meeting. Make sure it is disposed of. Avoid complaining about the food. However, if you are asked about it after the meeting in private, be honest but diplomatic. This could determine if the caterer or restaurant is used for future meetings. Help keep the discussion during the meeting aimed toward the “working” part of lunch. Particularly during a presentation, don’t clean up or get up. This can be very distracting to the person leading the discussion. Make sure your table spot is clean when you leave. Others may have an afternoon meeting in the same room. Although you may know your colleagues pretty well, everyone has varied taste in food and for what they prepare for brown bagging a lunch. Maintain good posture and stay alert for moments that require your participation. Eat quietly and with your mouth closed. Bring food that isn’t messy and can be eaten with utensils. Avoid bringing pungent or greasy foods. If your food needs to be warmed, take care of this before meeting time. Best to avoid a microwave line-up. Make sure you take care of any additional food prep beforehand to avoid disruption or taking additional space at the conference table. Don’t handle crinkly wrappings or munch on chips or other crunchy foods – especially when someone is presenting! Avoid toothpicks, floss, or putting your fingers in your mouth. If someone has come without a lunch, do not make mention of it in front of others. He or she may have a valid reason they prefer not to discuss in a professional environment. When it’s your turn to speak during discussion, make sure that what you are saying is the focus. Your food and utensils should be placed on the table when you are speaking. 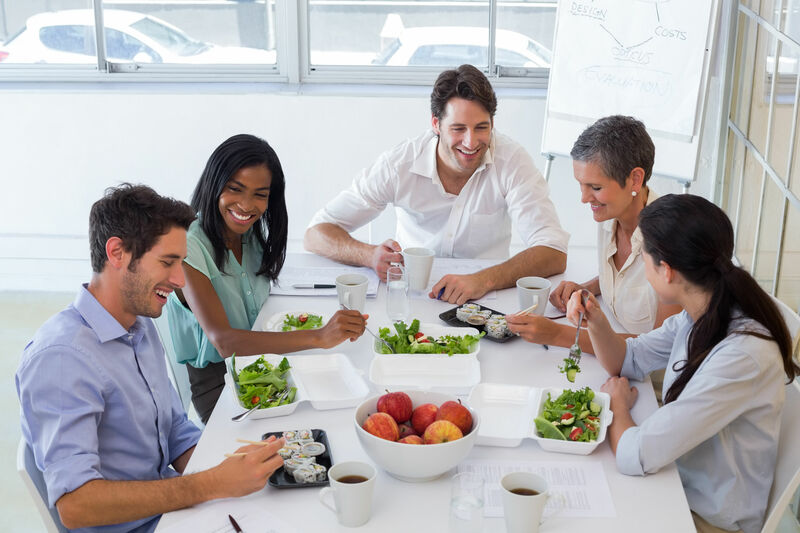 The most basic guideline to remember when participating in a working lunch – or any working meal – is to do your part to ensure that “awkward” isn’t part of the meeting. In other words, be mindful of showing respect for the meeting agenda and for others attending.